We are happy to provide listings of those who support your community. 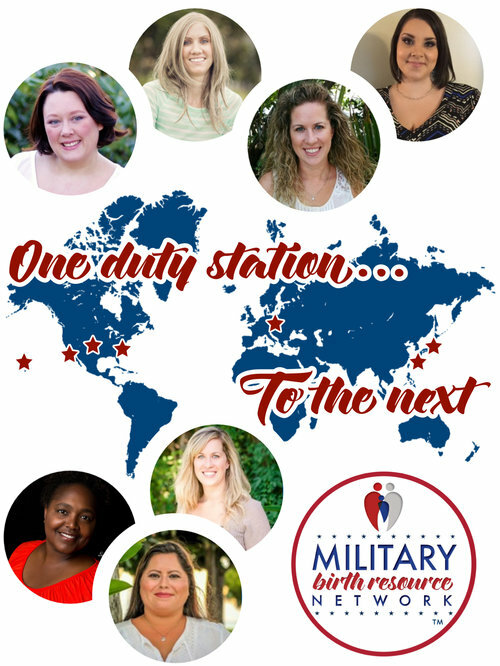 Professionals of the Military Birth Resource Network endorse our goal to make a positive difference for pregnant women, new mothers, and their families through education, nurturing, and advocacy while fostering respect, knowledge, and integrity among professionals everywhere. There are a range of "well seasoned" to "brand new" doulas to fit your needs. Doulas listed on our website do not work for MBRN or the Local Chapter. The doulas listed on our website have endorsed the Military Birth Resource Network's Code of Ethics and Standards of Practice and where applicable they have a base license. We support a mother's right to choose the type of birth that is right for her - un-medicated, medicated, cesarean, VBAC, home birth, hospital birth, or birth center birth. Every woman will choose birth practices that she feels is right for her and regardless of those choices, our goal is to support her during this incredibly important time. There are variations in philosophies and practices in the professionals listed in our member guide. The doulas within our network are trained by a national or internationally recognized organization. It is the responsibility of each benefactor to verify the credentials of each professional. MBRN encourages consumers to interview professionals to determine which professional is the right person for their needs. Some doulas may provide volunteer services while others will charge a fee for service, MBRN does not regulate a doulas' fee but the network does encourage doulas participating in this program to consider each families' situation and circumstances.